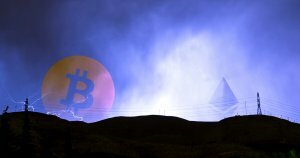 Despite what naysayers might say, the fundamentals behind the original cryptocurrency continue to advance. It’s true–when compared to 2017’s bull market, many important Bitcoin metrics, including transaction fees, network hashrate, and adoption have all improved. During the 2017 bull run, the slow nature of bitcoin transactions and the accompanying high fees made bitcoin almost impractical to use. Although the continuous upward price movements, at the time, brought about more adoption, an increasing number of transactions took an hour or more to confirm. Consequently, users had to pay increasingly higher fees to have their transactions validated within a reasonable timeframe. That said, Bitcoin’s limitations also spurred innovation. To reduce congestion on the network, Segregated Witness (SegWit) was implemented to reduce transaction size whilst the Lightning network was built to allow some transactions to be made off the main Bitcoin blockchain. Both scaling solutions have made progress in terms of adoption. At the time of writing, the Lightning network had 7,800 nodes, 39,000 channels and a capacity of 1,000 BTC. 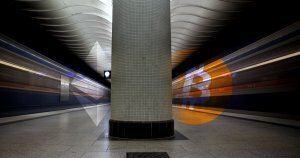 Transactions using SegWit also accounted for 40 percent of all bitcoin transactions. It is worth noting that the adoption of SegWit and the Lightning network are only useful if they translate into faster transactions and lower transaction fees. Data from the previous bull run suggests these technologies have made a substantial impact. According to data from bitinfocharts, the average transaction fee on Oct. 14, 2017, (two days after the BTC price crossed the $5000 mark for the first time) was $4.40. Meanwhile, transactions currently cost $2.45 despite higher transaction volume—a 45 percent decrease from 2017. Clearly, transaction fees are comparatively lower than they were during the previous bull market. It is, however, too early to declare SegWit and Lightning as effective solutions for bitcoin as a medium-of-exchange, especially considering the sharp rise in fees following the recent rally to the $5,000 mark. If BTC’s price continues to accelerate, then the network may once again struggle with high fees and long confirmation times. The hashrate of the Bitcoin network refers to the amount of computational power dedicated to processing transactions and securing the network. The Bitcoin network hashrate increases when more mining hardware is working on the network. A higher hashrate means a more secure Bitcoin network because it makes 51% attacks more difficult and expensive to execute. 51% attacks require an attacker to control more than half of the network hashrate and allow an attacker to double-spend coins and violate the immutability of the blockchain. Data from blockchain.com shows that the bitcoin hashrate on Oct. 14th, 2017, was 7.8 million TH/s compared to 44 million TH/s today, a 460 percent increase. This shows that the Bitcoin network currently has more mining power than it had at a similar price range during the previous bull market. The chart below shows that the hashrate has also comparatively increased over time, with a modest dip following the market contraction of 2018. Only the months of November and December of 2018 saw a decrease in the network hashrate. Bitcoin adoption has been on the rise since it gained mainstream media attention in 2017. Metrics like the number of transactions and the size of the community clearly demonstrate progress. Interestingly, there is not much difference between the current number of active addresses and the figures from 2017. The number of active addresses on Oct. 15, 2017, and Apr. 3, 2019, are 740,000 and 700,000 respectively. Conversely, the average number of transactions per day increased from 280,000 in October of 2017 to 400,000 today. The figures reveal a lack of improvement in terms of active addresses but a considerable increase in the number of daily transactions. The bitcoin community has also grown larger over the years. The bitcoin subreddit had 355,000 subscribers in October 2017 and currently boasts one million members. In general, awareness of the cryptocurrency has exploded following mainstream media traction and widely available offerings such as options to purchase bitcoin at Coinstar machines. The cryptocurrency industry has continued to grow, even through the crypto winter of 2018. While cryptocurrency exchanges like Binance and Coinbase have become influential globally, top firms from the traditional financial sector are also participating in the cryptocurrency industry. Fidelity, VISA, JP Morgan Chase, and Goldman Sachs are examples of financial sector giants that are beginning to participate in the industry. Meanwhile, regulatory bodies like the SEC in the US and the FSA in Japan have come out with various statements and regulations regarding bitcoin and other cryptocurrencies. Albeit, there remains more to be done in terms of clarity on crypto-related regulations, intervention by these regulatory bodies have helped remove some bad actors and has lent additional legitimacy to BTC and other cryptocurrencies. It can be argued that the SEC’s reiteration of the laws that govern ICOs as well as the shut down of some fraudulent projects has made blockchain developers more responsible in the industry. Finally, having experienced both bull and bear markets, individuals who joined the Bitcoin community in 2017 have become more knowledgeable, in a sense, by maturing with the market. This difference can be noticed by comparing the overly optimistic online discussions from 2017 with the more measured expectations of today—although that may change if bitcoin pushes towards all-time highs in the future. Since the last bull market, Bitcoin’s security, technology, and adoption have improved—with few signs of slowing. The magnitude of impact that Bitcoin has had on society and technology within the last 10 years is truly a marvel and it’s exciting to imagine what possibilities the next decade will hold. The post Bitcoin fees, security, and adoption have improved since the last bull market appeared first on CryptoSlate. Next: Next post: U.S. is Falling Behind in Crypto Exchange Volume: Regulation to Blame?